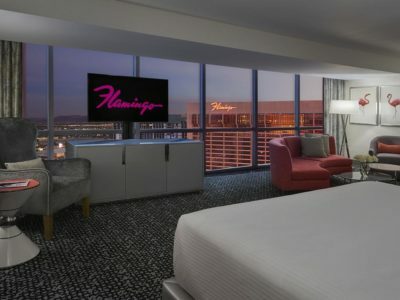 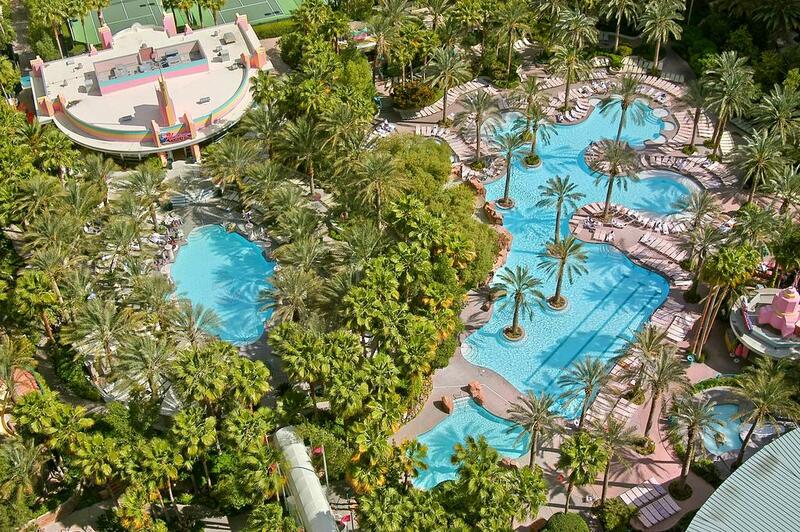 Part of the Las Vegas Strip since way back in 1946, the Flamingo is packed with enough amenities to keep even the most energetic visitors entertained. 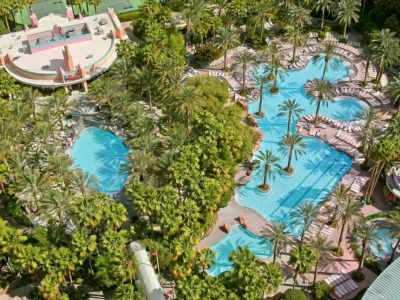 Think 15-acre Caribbean-style water playground, a wildlife habitat, fully-equipped spa, state-of-the-art gym and even a casino and you’re on the right lines. 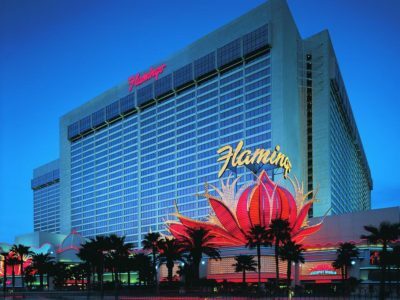 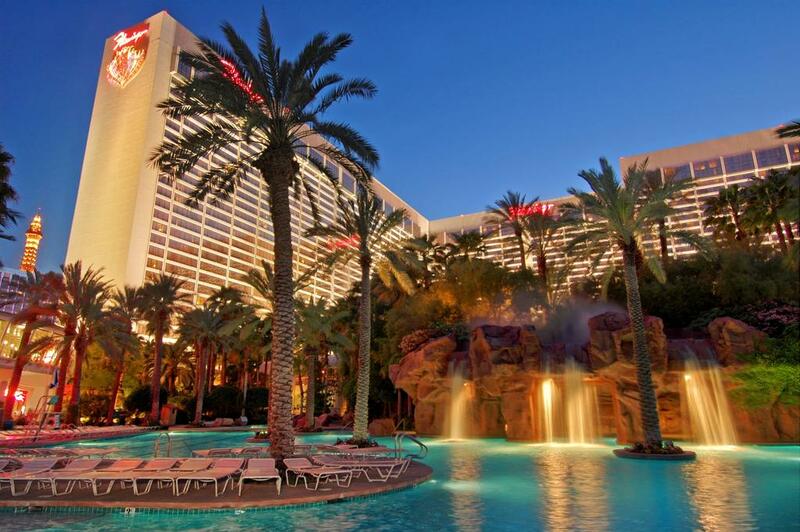 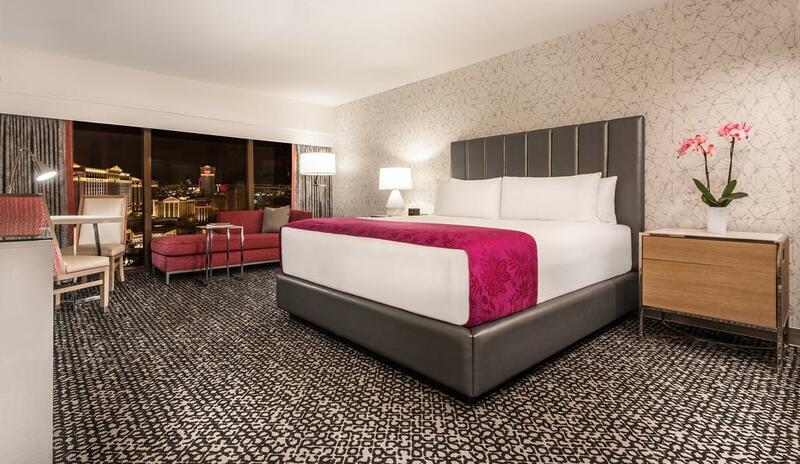 Located on the corner of Las Vegas Boulevard and Flamingo Road, the hotel combines all the excitement you’d expect from its prime location with services that are unrivalled. 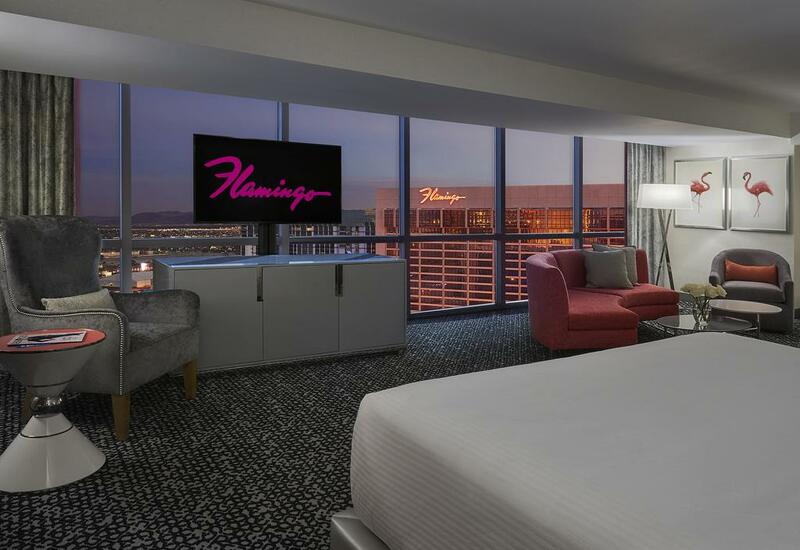 Choose between a selection of Deluxe, Flamingo Go and Fab Luxury Rooms each with its own entertainment centre including flat screen TV with video-on-demand, and high speed internet access. 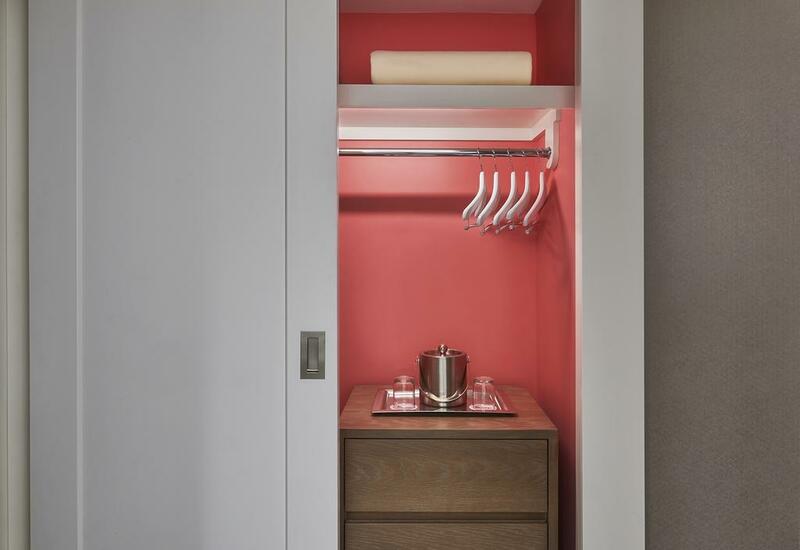 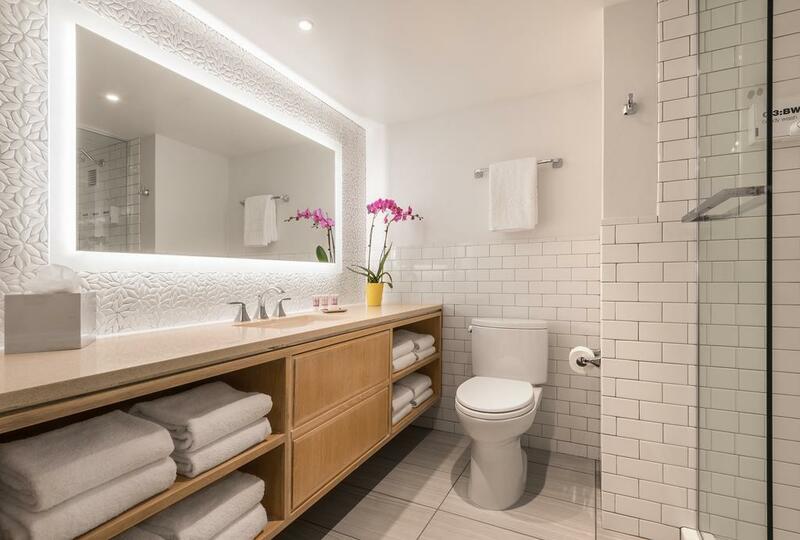 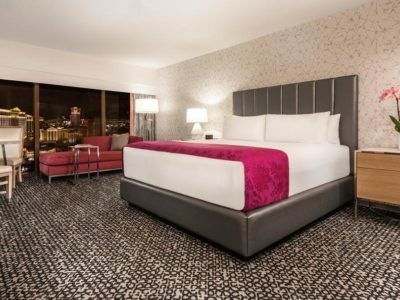 The hotel’s remodelled Fab rooms come with wood-toned floors, contemporary chaise lounges, patterned rugs, vintage artwork and, of course, splashes of signature flamingo pink throughout. 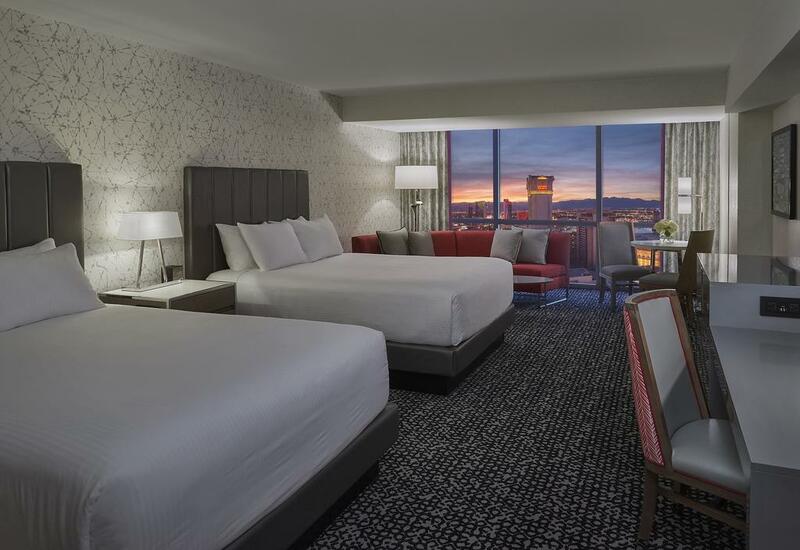 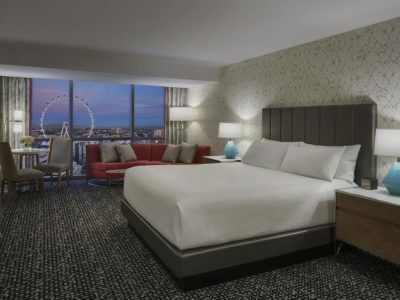 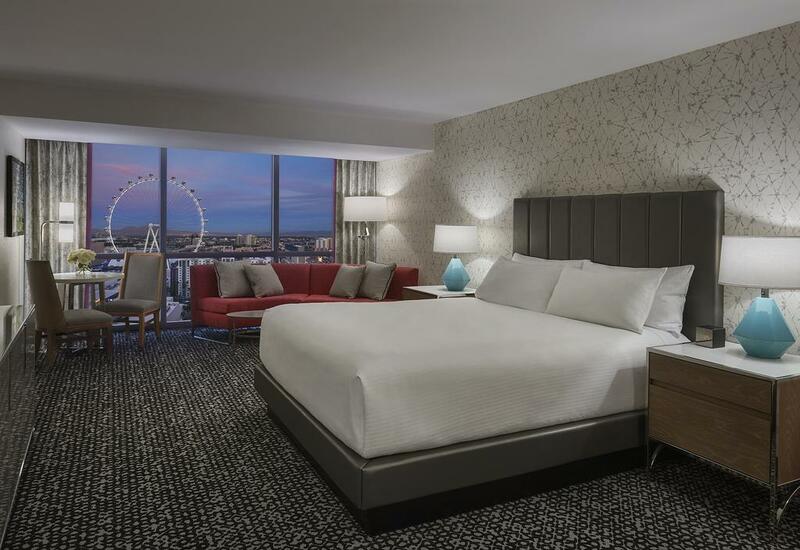 Upgraded rooms feature unbeatable vistas of the Las Vegas skyline. 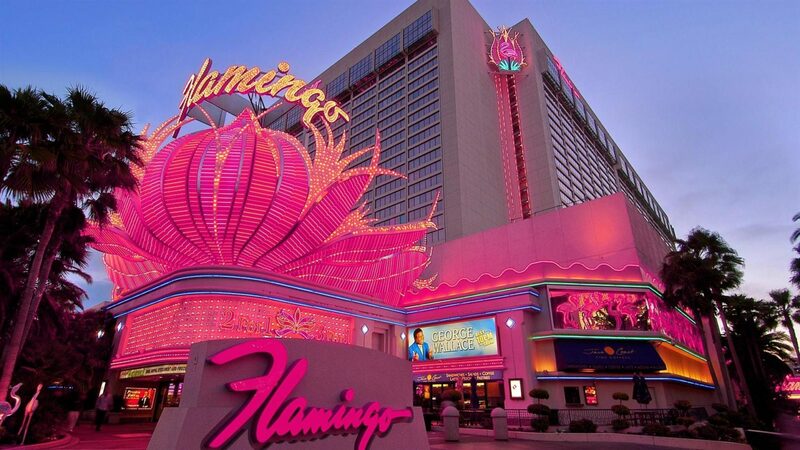 Flamingo’s ten different restaurants and cafes are sure to suit most tastes. 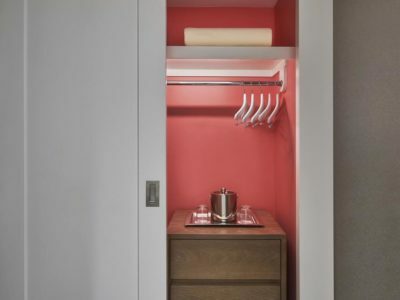 From classic American fare at the unpretentious Beach Club Bar and Grill to the authentic Japanese cuisine and sushi bar at Hamada of Japan, this hotel has all culinery corners covered. 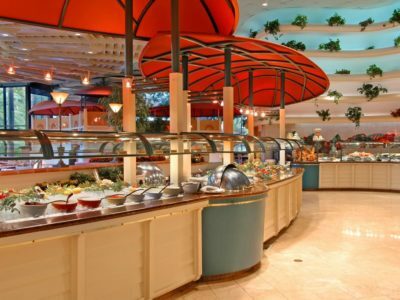 Check out the Mexican inspired dishes at Carlos’ n Charlies’ or head down to the Caribbean-themed entertainment venue that is Margaritaville with its five bars and nautical-style restaurant. 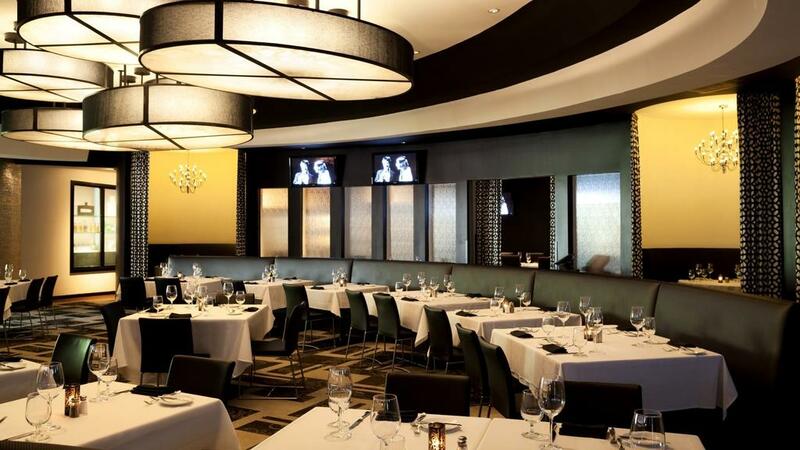 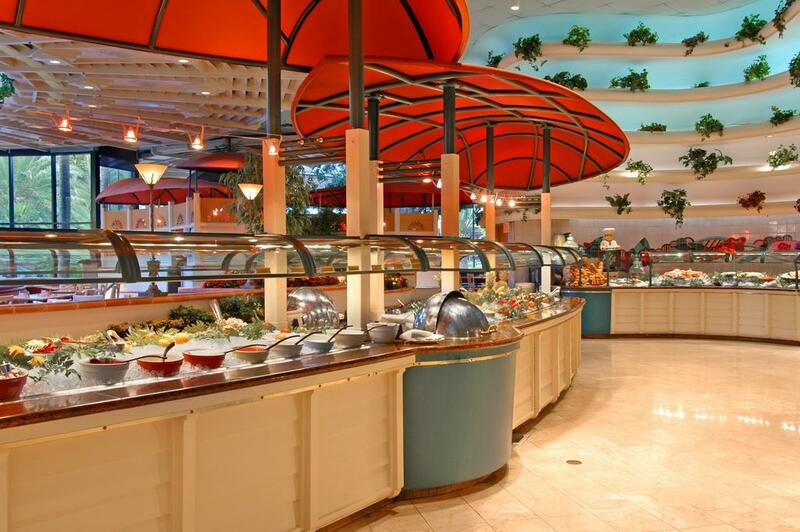 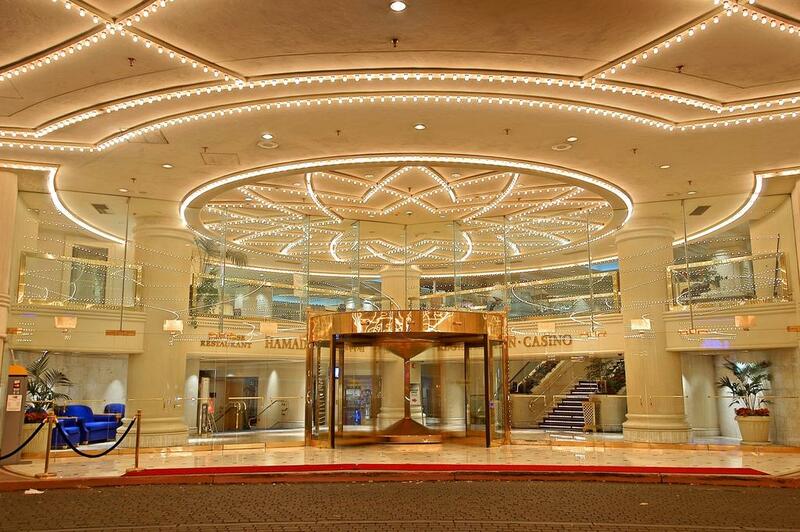 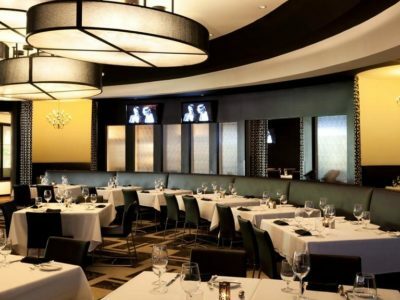 When it comes to food and great dining experiences Flamingo Las Vegas really is hard to beat. 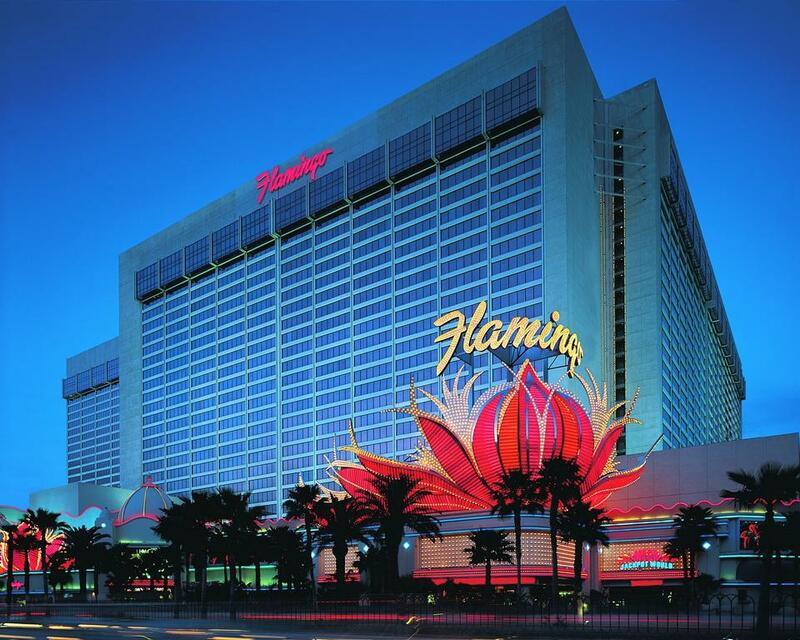 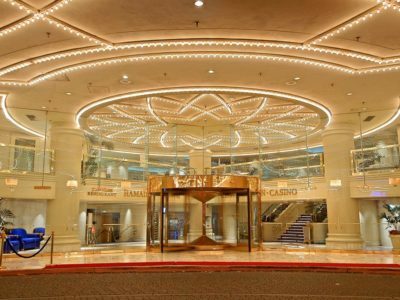 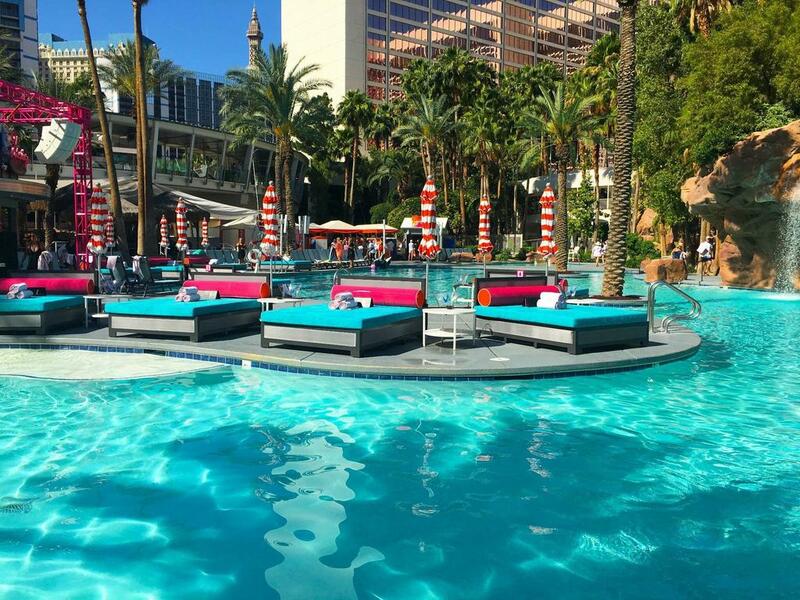 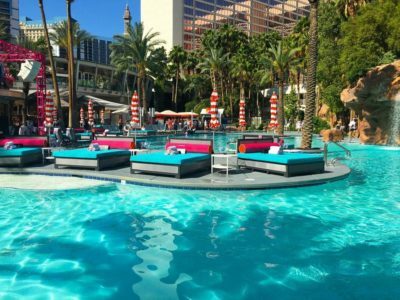 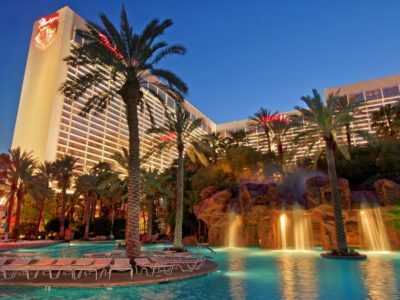 Located on “The Strip” close to the airport and other must-see attractions such as the Grand Cannal Shoppes at the Venetian and the Las Vegas Convention Centre, Flamingo Las Vegas is also moments away from the array of gay clubs and bars both on the strip and the Fruit Loop. 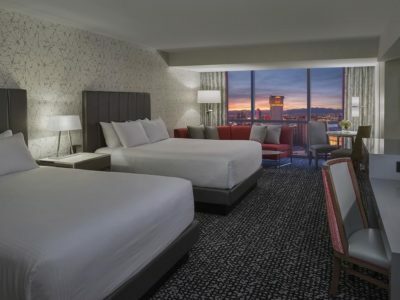 Check out the city during its gay pride celebration in September for a holiday in Sin City that will be hard to forget. 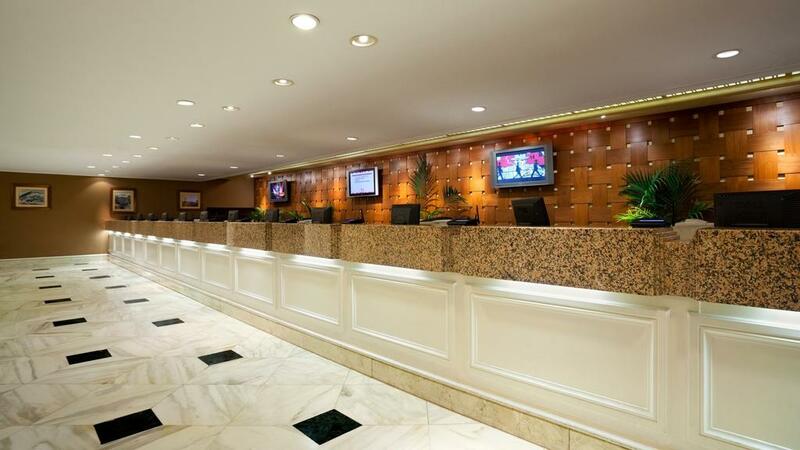 Out and About Gay Travel Guides are available at each and every World Rainbow Hotel. 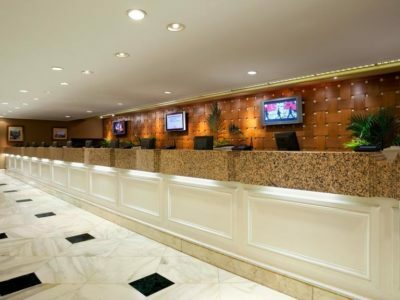 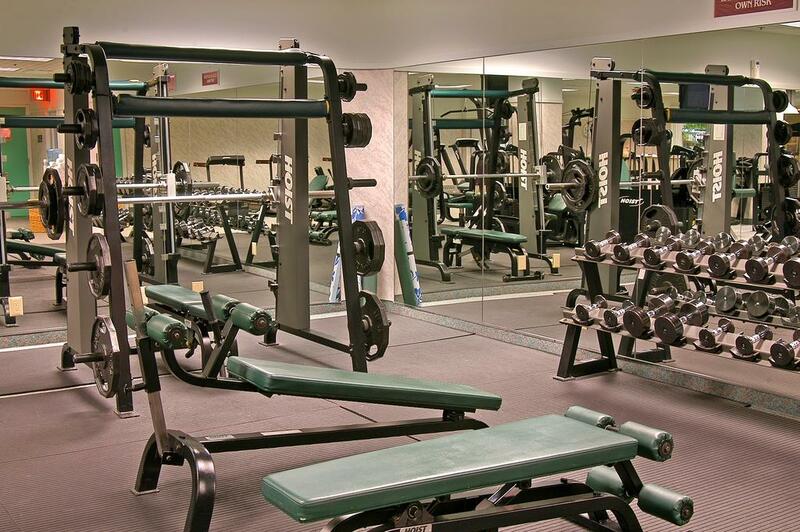 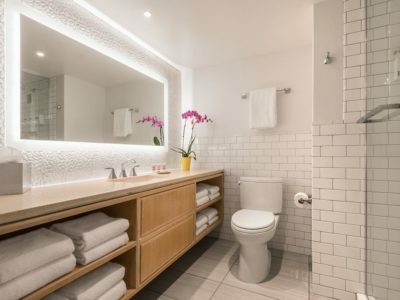 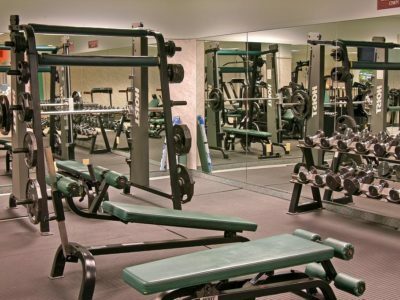 They are prepared by the concierge and staff at the hotel and aim to provide you with up to date information about the local gay and lesbian scene.